There is was, a quarter century after the first Chris Whittle hype. Another story in The New York Times about another scheme from a guy who has pioneered the scams and schemes of the education business since the late 1980s. Veterans will remember the slogan, catchy if irrelevant: "Thomas Edison didn't improve the candle, he invented the light bulb..." That was Whittle. Always marketing his latest example of edupreneurship. It was either when he was promoting Channel One (the TV in every school if you force the kids to watch some commercials every morning). Or later it was Edison Schools Inc. (for a time EDSN on the NSADAQ), which has crashed and burned at great cost (to taxpayers and some of its shareholders from Philadelphia to Chicago and beyond. Edupreneur Chris Whittle moves from market to market with his various scams, and always seems to find some new group to pitch his wares to. First is was "Channel One" back in the 1980s and 1990s, to cash starved schools and districts that wanted desperately to install TVs in public schools. Then it was charter schools, but after crashing Edison Schools charter schools in Philadelphia and in other places, Whittle moved out of the charter business, too. (He had also had some fun with a publicly traded company EDSN that cost small investors a fortune when its stock went into the tank). Now, with the help of the usual propagandists for "market based education reforms" Whittle is pushing one of the most expensive private schools in New York City -- and selling another round of Whittleisms. And you can bet that the latest Chris Whittle scam will continue to get hyped from the same people who brought America more than two decades of educscams trademarked by Christ Whittle. So on May 6, 2013, it was, again, The New York Times that devoted inches and photographs to pushing the latest. At least this time, it wasn't poor people who were being scammed. The poor had been scammed, like the families that sent their kids to the Edison charter schools on the promise of a "computer" for every child. Of course, when they got there, they either didn't get a computer -- or got such an old one that the only profit left in them was in the tax write off that went to the corporation that "donated" them. At least this time, it isn't middle class suckers who believed the stock "analysts" who pushed Whittle's stock when he was pushing -- Pump And Dump style that could have come out of a boiler room as depicted in The Sopranos -- a publicly traded version of his charter schools as an investment. This time, and it may not be Whittle's last, it's some of the wealthiest young strivers in Manhattan, who are being taken in by the "research-based" version of expensive private schooling offered by Whittle and his cohorts. This time it's a private school in New York City. Thanks to The New York Times magazine, the world now knows about the "World School in Chelsea", which costs parents $43,000 a year, has its teachers working fourteen hour days, and, once again, has Christ Whittle's trademark. Thirteen years ago, it was stock analysts at outfits like the late Merrill Lynch. Merrill's analysts continued to recommend that suckers "BUY" EDSN stock as the publicly traded shares dropped in value like a stone off a bridge, from $32 a share to less than a dollar a share. Substance caught up with the analysis who was rating EDNS stock and asked her, about half way down the final slide in price, why she was keeping it at a BUY. She told us that she had just lowered the rating to HOLD (which means, "Don't sell; it will come back...") while the stock kept tumbling. When we pushed, she began a tear-filled discussion of the "vision" of Chris Whittle. What she didn't know, apparently, was that as EDSN went down for the suckers who still paid attention to Merrill was that Chris Whittle and his closest colleagues had sold their stock when it "peaked." It was the suckers who held all that EDSN stock until it was delisted who got scammed. Tony Soprano would have understood, even before Merrill Lynch itself turned out to be the same kind of outfit, and was told to Bank of America. All that can be said about this latest has two parts. At least this time, Whittle is going after the wallets of the wealthy. He is playing into the usual sub-conscious twitches that he has played off for decades, using every marketing skill his P.T. Barnum life has provided him with. And as usual, Whittle's latest scam is getting free PR from The New York Times and others who push such stuff. Correction: May 5, 2013. An article on Page 46 this weekend about Avenues, a for-profit school in Chelsea, omits one of its founders. 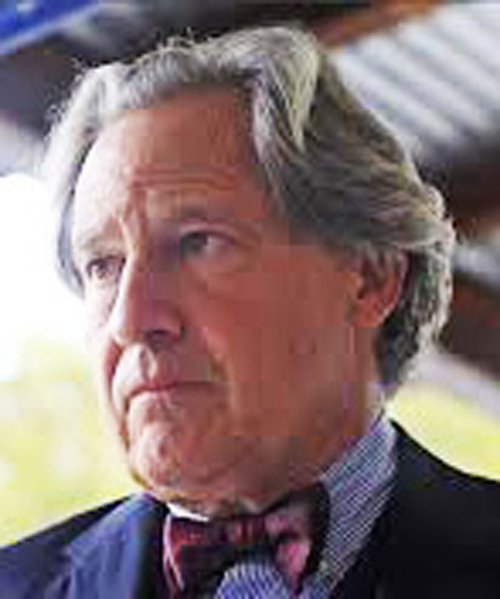 Alan Greenberg, a former publisher of Esquire magazine, helped start the school; it was not founded just by H. Christopher Whittle, a media and education entrepreneur, and Benno C. Schmidt Jr., a former president of Yale. A version of this article appeared in print on May 5, 2013, on page MM46 of the Sunday Magazine with the headline: Is This the Best Education Money Can Buy?.